UConn didn’t provide video highlights of Saturday’s 6-3 win, but the Huskies did post a 100-shot photo gallery from Friday’s 2-2 tie, including this shot of Brady Tkachuk attempting a wrap-around. ► Twelve years ago tonight, BU rode a Dan Spang goal and 31 saves by Karson Gillespie to a 1-0 win over Denver. Friday night, the Terriers will host the #1 ranked, defending national champion Pioneers. Matt Nieto registered his first NHL hat trick in Colorado’s 5-3 win against Dallas Tuesday night. He scored once in each period. AJ Greer was in the Avs line-up after being recalled from AHL San Antonio. Greer had begun the season on the Avs’ injured list with a concussion. A third Terrier playing for Colorado, center Colin Wilson, sat out with a hip injury. 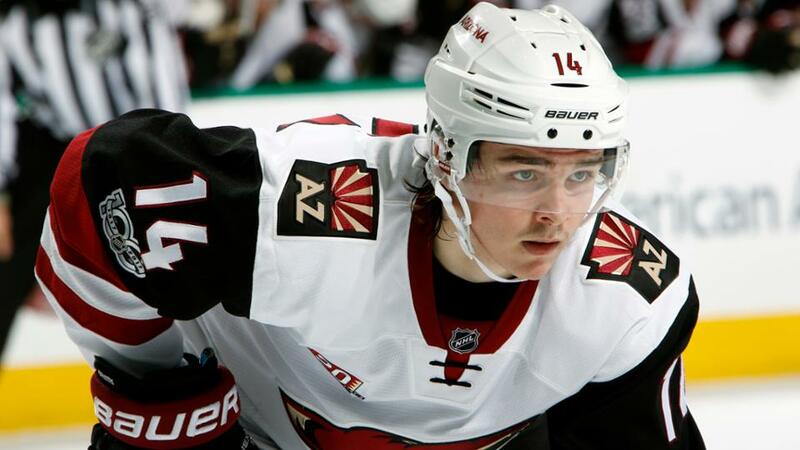 Clayton Keller assisted on two goals for Arizona, who fell to the Islanders, 5-3. Adam Clendening combined with Keller to set up the Coyotes’ third goal. Keller, who was NCAA Rookie of the Year last season, leads Arizona in scoring with a 6-4-10 line and also is the current top rookie scorer in the NHL. Charlie McAvoy is tied for fourth with seven points. Former Terrier captain Brian McGuirk is coaching two teams in the New England Fall Prep League. Among the skaters on his U18 Public Private squad is Andover High School senior defenseman Jake Lachance, whose father is former BU, U.S. Olympic and NHL blueliner Scott Lachance and whose grandfather is legendary Terrier coach Jack Parker. McGuirk’s most memorable Terrier moment? An overtime goal to beat BC in the 2007 Beanpot championship game. 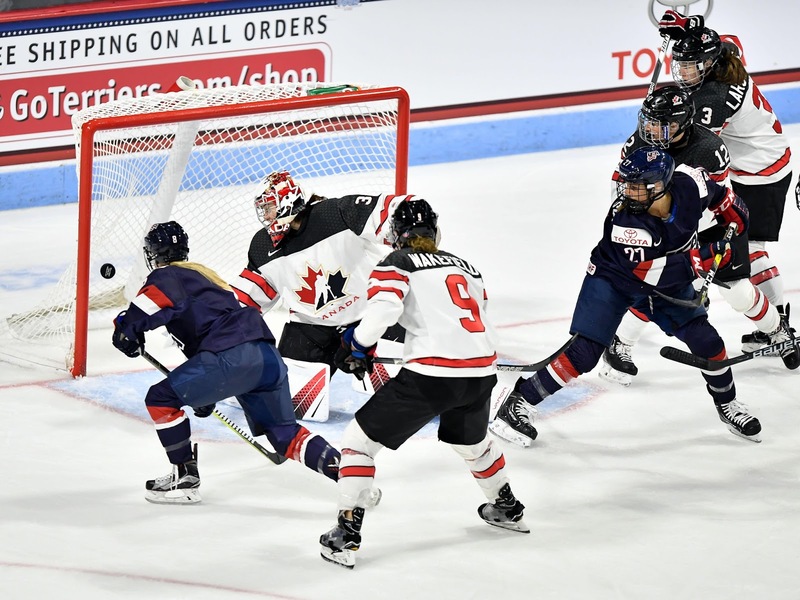 Former Terrier standouts Marie-Philip Poulin and Jenn Wakefield were back at BU helping Canada defeat Team USA, 5-1, in the Time is Now Tour before a sold out Agganis Arena crowd. Poulin had a goal and an assist while Wakefield recorded an assist.